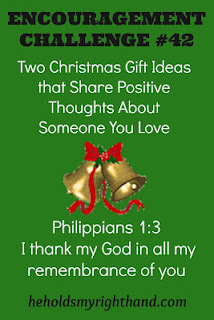 Two years ago, I did a series of "Encouragement Challenges" on this blog. During the Christmas season that year, I published 3 different posts that included inexpensive (or even free) ideas for encouraging others during this time of year. 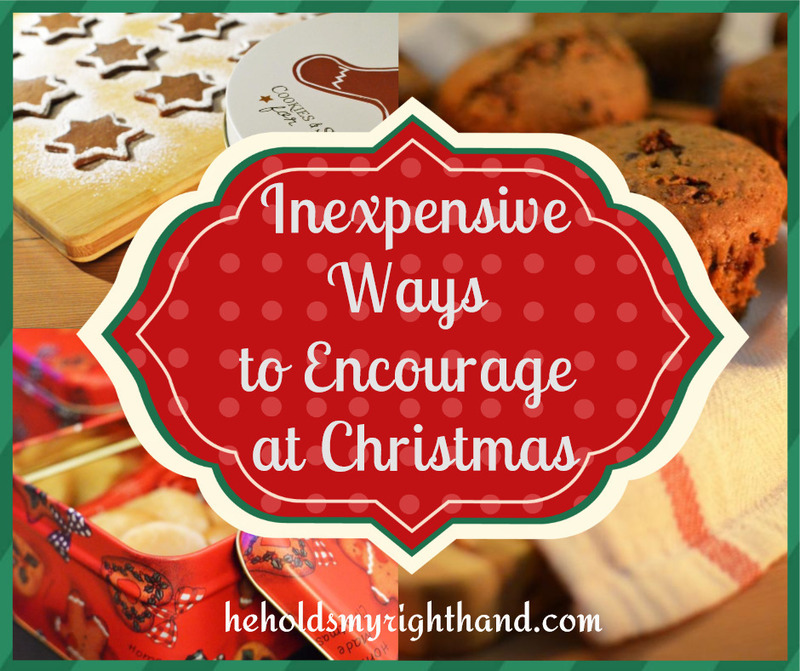 Today, I want to share these gift ideas with you again as we head into another Christmas season. Read the articles by clicking on each of the images below. 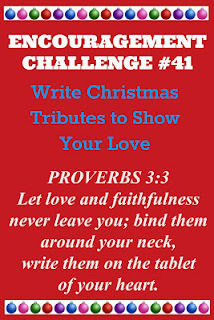 Write tributes to your loved ones for them to read while they are still with you. Share positive thoughts. No money needed - just a little of your time. 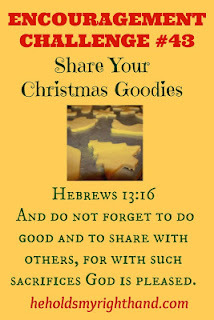 Share Christmas goodies with family and friends.